CA in Public Practice since 1981, member of NZ Institute of Chartered Accountants, Institute of Chartered Secretaries and Administrators, NZ Trustee Association. Trevor in his spare time enjoys tramping, reading, and travel (especially in the South Island). Director of Ashford Handicrafts Ltd and trustee and director of other trusts and companies. Gary, a partner with Russell Moon and Fail since 1973, specialises in rural, commercial, property transactions and in trusts, estates and succession planning. He lives in Ashburton with his wife Ruth and is an enthusiastic golfer, boatie and grandfather. Director of family farming enterprise at Ruapuna. Previous chairman of ATS (Ashburton Trading Society) and the Development Committee of the Ashburton Tennis Centre. Trustee of the Ashburton Housing and Support Trust. Active in Lions Clubs International, tennis and golf. Editor – Latitude Magazine and farming partner . Joanne founded Latitude Media in 2007 in Ashburton, after working in IT in the health sector and fundraising for local charities. With her husband, Deane, Joanne is involved in their arable farm. She is also the Chair of the organising committee of the ATS Longbeach Coastal Challenge, a community event Joanne has been a part of since it started in 2006. A mother with five children, Jo also loves tennis and golf. Director and Financial Manager of farming businesses in Dorie, Rakaia & Aylesbury. Nicki is a Justice of the Peace, trustee of the Rakaia Medical Centre and Dorie Community Trusts, and was the founding chairperson of the Dorie Community Preschool. She farms with her husband Peter and they have three adult sons. BNZ banker since 1988 and in Ashburton since 1994. Previously an Agri banker, now leading BNZ team across Ashburton and Timaru. Past Chairman Ashburton Borough School Board & past Chairman Christchurch Girls High School Rowing. Married to Jacqui and father of four daughters. Chris loves cycling, climbing hills and boating in his spare time. Roger is a fourth generation farmer from Wakanui, with many years’ extensive experience as a director and chairman in the banking, business, housing and health sectors. He has also served for many years on the Foundation's Investment Committee. In 2005 he was appointed a Companion of the New Zealand Order of Merit in recognition of his services to business and the public sector. Alan is one of the founding members of our investment committee and brings a great deal of knowledge of the share market. Formerly a sheep and cropping farmer near Mayfield and still does a lambing beat on his hobby farm near Ashburton. Alan was also very involved with the Mayfield community, where he was secretary for the Mayfield Golf Club for 53 years, and secretary for the Mayfield A&P show for 39 years. Both Alan and wife Margaret have now retired to town and enjoy visiting their 4 children and grandchildren around the world. Grant is a Chartered Accountant and since 2008 has been the Chief Financial Officer of Ashburton Contracting Ltd (ACL). ACL is a diverse civil contracting company based in Mid Canterbury employing 135 staff. His interests include commercial property ownership, investment and farming. He is a trustee (and treasurer) of the Waihora Ellesmere Trust and Life Member and Secretary/Treasurer of the Waihora Clay Target Club. Don is a retired chartered accountant from Ashburton. Don was an employee, then partner in Brophy Knight & Partners from 1956 to 1981. Since then he has had extensive experience with directorships, trusteeships and his own property investment companies. He is married to Robyn and still enjoys tramping and skiing. Andrew has worked at Forsyth Barr since 1997 and specialises in managing investment portfolios for individuals and charitable/community organisations. He is married to Schira and has three sons. Andrew lives in Sumner and enjoys paddle boarding and mountain biking. Managing Director of Scammell Painting & Decorating Ltd and Elite Scaffolding 2014 Ltd. Mark is on the National Advisory Group for the BCITO, representing Master Painters NZ and Chairperson of the Staveley Campsite Committee for 9 years. Residing in Ashburton, Mark is married to Andrea and together with their 4 boys enjoy boating, fishing & camping. ​​Angela has operated her own business since 1999, working with local businesses in marketing, communication and copy writing. She grew up in rural Mid Canterbury and has a strong sense of fostering community values as the region grows and changes. Angela has been involved in various school and sporting club committees over the years and has recently joined the Ashburton Water Zone Committee. Along with her husband Phil and their three children, Angela lives on a small lifestyle block in Eiffelton. 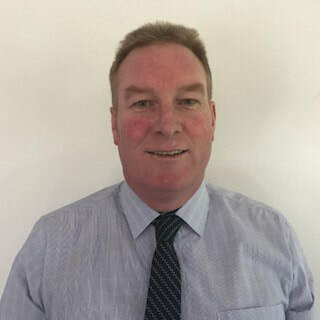 Ross has been a chartered accountant since 1991 and worked in the United Kingdom for a number of years before returning to Ashburton to join Gabites Limited. He has been involved on a number of sporting committees. He is married to Deborah and has three daughters and one son. His interests include supporting our families sports teams, boating, cycling, hunting and travel. Tim has been a partner in his current and predecessor firms since 2006 specialising in agri business, commercial law and succession planning. Tim lifestyle farms near Ashburton with his wife and twin sons. Tim is a keen outdoorsman – hunting, fishing and endurance running.